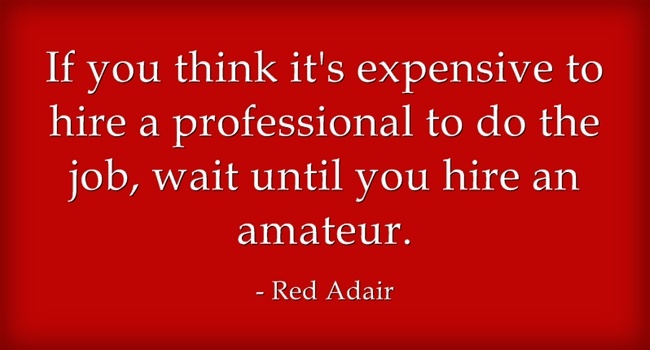 Save money by going to an amateur! GOLDEN Rules for Brides! but there's a reason we call ourselves this! Paula (not her real name) came into the shop and chatted to me at great length about her Wedding Plans. They were full and detailed and planned to within an inch of their lives. We talked about my Wedding Stationery, as well as flowers, photographers, videographers, the gorgeous dress she had ordered from China (she showed me a picture on her phone... and I had to agree, it looked stunning! ), she also told me about the real crystal bouquet she had ordered, the cake she was having made and was overjoyed to tell me she was on a very tight budget and was proud of what she had achieved. "I mean... these so called 'professionals' I don't know where they get their prices from!" WEDDING STATIONERY: She was going to make her own, I mean, it's not that hard is it and people only throw them away. FLOWERS: Her sister was going to make her Bridesmaids flowers and button holes as she had been on a 1 day flower arranging course just a year before. PHOTOGRAPHY: Ahhhh no worries there, her other sister had just bought a super-dooper camera and wanted to take up photography as a hobby! It cost her a fortune so it was bound to be good. VIDEOGRAPHY: Her Uncle John bought a small video camera to go on his holidays about 5 years ago. Ok so the video he took of Egypt wasn't that good, but she was sure he would have time to practice before her big day! THE DRESS: The one from China..... only cost £120 and was a perfect copy of some top designer (I can't remember which one as dresses aren't really my thing). THE CAKE: Her Gran was going to make the cake... she'd been baking for years, she had 13 kids you know and they never went hungry! ICING THE CAKE: Oh that was no problem either... there was this ready to roll icing in the supermarket. I mean, no-one will know the difference. By the time it comes to cutting the cake everyone's sloshed anyway. She had splashed out though... on her venue. It blew almost all of her budget, but she knew her friends would be impressed! I wished her well and said I was full of encouragement for people who wanted to make their own Stationery. I mean.... if you are creative and will enjoy the experience... why not! THE FLOWERS: He sister had priced them up and it was going to cost more to buy them than the florist would have charged to make them up. PHOTOGRAPHY: Her sister was trying her best to get used to the super dooper SLR Digi camera and was constantly watching Youtube to try and get hints and tips. Paula had rang all the local photographers as it was still 4 months till the wedding.... but sadly they were all booked solid. THE VIDEOGRAPHER: Her uncle said there must be something wrong with the lens as the videos he had tried hadn't quite worked out.... they looked pretty fuzzy compared to some of the latest videos he'd seen and he wasn't in a position to buy a new one. THE DRESS: Well.... it came and was pretty poorly made to be fair. The seams were not sewn correctly and despite the company offering 'made-to-measure' it certainly wasn't HER measurements they had used. Also it came without any under skirts, so basically just a throw over top dress, made from what can only be described as lining fabric. The local dressmaker said that it was so tight in some areas that there was no spare fabric to let any seams out. THE CAKE: Her gran had, had a stroke and was unable to feed herself, so making a cake would be impossible! THE CRYSTAL BOUQUET: Turned out to be plastic and the seller on facebook had closed the page down and I have no way of finding her as she never sent me an invoice and I paid by BACS transfer. Ahhh.... but at least you made your own Wedding Stationery! At least something went right! I bought in the card and some paper, lovely square ones like you make. I designed the inside and printed it out on the paper... only the paper was too large to fit into the card.... so I went out and bought a paper trimmer which cost me £35 and something I'll probably never use again. Then I realised that I had to mess about with the printer settings for it to come out on the right page. I eventually gave up but managed to find some pre-printed ones where you fill in the blanks of who is getting married, where, when and at what time.... they took forever to write out, but at least I got there eventually. Then I designed the cover on the printer, the design to be printed on card and found my printer will only take paper and it's not even like the card is thick or anything! It just jams! Then there's the ribbon. I only needed to make 30 invites, but that would have cost me £60 quid from you right? but then I realised I needed far more ribbon as each one took almost 2'... yes 24"! How can you use that amount on such a small card? Then I bought a butterfly punch, like the one you have, as the cards looked far too plain with just wording on the front. £18 for a butterfly punch! And then there was the putting together of all the parts... I mean the first half a dozen were fine... but 30 of them and tying all that ribbon! I had no fingers left! Wait a minute.... how much did it all cost? Paula had to pay more for her flowers than it would have cost her to go to a florist who know what flowers were in season and therefore cheaper.... along with the fact the florist buys flowers trade price. The dress had to be a hired dress as all the Wedding Dress shops needed more time to get her size in and have her measured and made to fit.... but she'd already paid for the dress from China too! All the photographers were fully booked and she had to settle for disposable cameras and pictures that friends took to remember her special day. She bought a 'Ready made wedding cake' from Marks & Spencers... which apparently was very nice! She ditched the videography idea too as they were all booked up. The crystal bouquet had to be replaced by the florist with a real flower one. All in all, it cost Paula twice as much trying to save money and Do It Herself than if she had gone to the professionals themselves in the first place and she had already blown most of her budget on the venue. There's a reason we do what we do: WE LOVE IT! It's our passion and our living. We have to pay rent, rates, insurance, telephone, heating and lighting as well as buying top quality materials... Oh and if we are VERY lucky, we sometimes managed to give ourselves a small wage... like I say.... sometimes! 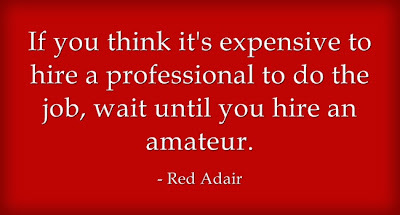 There's a reason we call ourselves 'Professional': Because many of us have worked long and hard at our trade. Our training has cost us money. Our experience is gained over a number of years and we are experts in out field. I'm not telling you to go out and spend a fortune.....work out a budget and shop around. If something sounds too good to be true it usually is! Ask yourself... If you owned a Merc, would you take it to the guy round the corner that tinkers with cars in his spare time... or go to a Merc Garage? One last little thing... Paula is not a real character, however she is made up of many characters. All the stories your read above are true. They are made up from the stories I have heard brides recall to me over just the last two years, while specialising in the Wedding Industry. You only have to go into Wedding Forums to see these and many other horror stories relating to things that have gone badly wrong.... to the people who can afford it least. married before you, who they used. Make sure that the companies you use have a registered TRADE address and are a real company. DO NOT trust a website unless you have checked out their address (use Google maps) and also a landline number. Mobiles can be ditched at the drop of a hat! Whether you buy from a shop or on-line, you are covered by LAW and everyone has to sell items that are 'Fit for the purpose they were intended'. "OK.... so what's your budget?" At this point I usually get one of 2 answers. 1) "We haven't got one"
or 2) "We don't really know"
have no idea where to start. I've promised to write this article for some time and today I feel I really MUST get round to it.... I hope it helps in some small way. Couples would do best to see what they can afford and work from there, instead of working on what they want, costing it all out and then having to postpone their wedding when the harsh reality of EVERYTHING COSTS kicks in. Remember: £35 a meal can sound like a bargain, but it can be a real eye opener when you times it by the number of guests you have coming! And that's just the 'food side' of things. So.... to make it easy for me to work it out for you.... lets say you have £10,000 to spend. Bar and non-alcoholic drinks, punch, shots, etc. *Don't forget to haggle on price here. If you don't ask, you don't get! You have nothing to loose. If you find that the cost is far more than your budget and you are determined the venue is the absolute place you want to get married and there's no way you are going to shop around for somewhere cheaper.... consider 1 of 2 things. If your Wedding is at a venue and you are staying there over night, there's no reason why you shouldn't get ready at the venue itself. If the venue is 50 yards down the road, it's quite a saving if you get a friend with a posh car, to add ribbons and get you to the Church on time. Do you really NEED this? 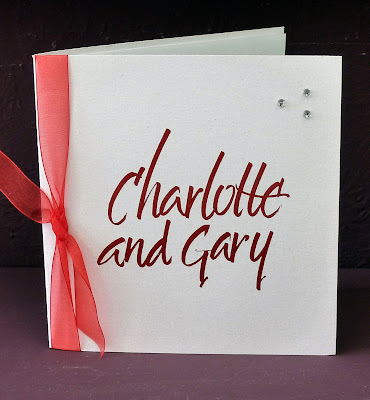 You can cut down a little on this budget, like having only 1 Order of Service per couple for instance. Talk to the person who is designing and making all your Invitations and On the Day stuff and negotiate a discount. and see how they can help! I hope you have found this budget planner useful. Happy-ish with the website so far. Could do with a few more suppliers, so that Brides have a choice. Suppliers on the site must be recommended by either a Bride & Groom or in person. This is a FREE listing and hopefully suppliers in return will write some content for the blog. I really have enough to do already... but to hell with it! I set this website and blog up for a reason. and I'm giving it another shot! 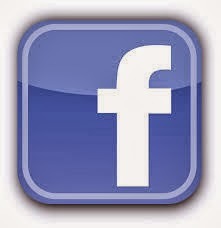 To promote local businesses and connect them with Brides and Grooms.... a sort of one-stop-shop! Well... I've had a long hard think about this... and have decided that I *WILL* continue with this blog and website. I have to admit, running my own business and website as well as wanting somewhere to showcase some of North Yorkshire's finest and most dedicated Wedding Suppliers got a little overwhelming... especially as I do this single handedly, pay for it myself and ask for no advertising fees. Building a website takes effort and a pretty good degree of understanding of how to get traffic to the website, how to keep people there and how to encourage the clients to spend money local. This website and blog gets too many hits to give it up! All this is done with no financial reward for me. I did it because I have faith in the people I recommend and like to see people who start their businesses with passion and dedication succeed and I like to see couples get exactly what they want, from people who will generally go out of their way to make the day perfect! I am not an advertising site who takes large sums of money from people and really couldn't care less what quality their good are or how the perform as providers... Nope... in short.. I CARE! I care about the Brides and the reputation of the industry. Brides and Grooms are my number 1 concern and I am committed to still going ahead with this site, for them as much as anyone else. I expect that the people you will find on this site to offer the very BEST available and if I hear otherwise there will be hell to pay. So... while I get my act together and strip this blog and website right back to it's bare bones... please bear with us, and join us on our Facebook page!